Stay connected. Stay informed. Be the first to know what people will be talking about in Chicago’s suburbs. And see the photos and videos they’ll be talking about. 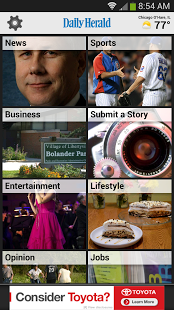 With the Daily Herald’s Suburban Chicago News and Sports application you can receive an expanded array of the latest breaking news updates; sizzling tax watchdog reports by Jake Griffin and other members of the paper’s On Guard team; enterprise-driven Chicago pro sports coverage of the Bears, Blackhawks, Bulls, Cubs, Fire and White Sox; the best prep sports coverage in Chicago’s suburbs; a front row seat to our entertaining engagement journalism contests; personalities like Burt Constable, Dann Gire, Mike Imrem, Kerry Lester, Patricia Babcock-McGraw, Kim Mikus, Bruce Miles, Deb Pankey, Marni Pyke, Mike Riopell, Barry Rozner and Tim Sassone. In addition, get timely weather reports, business updates, suburban lifestyle news, obituaries, access to our suburban and Chicago calendar of events and entertainment, and the ability to send us news and photos. 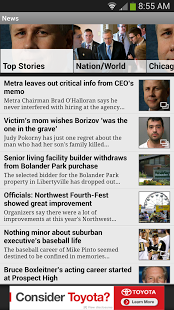 The Daily Herald Suburban Chicago News and Sports app delivers the best features of dailyherald.com customized specifically for your Apple iOS device. It makes reading and sharing the news easy. With a few simple steps, you can read the latest news or share it with family and friends by email, Facebook and Twitter. The Suburban Chicago News and Sports app is free to download, but a paid Daily Herald subscription is required to access the content. 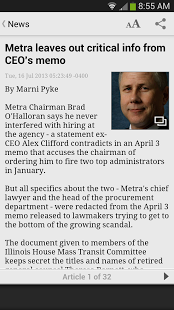 Just sign in with your Press+ account, which you can activate or obtain on the DailyHerald.com website.